Find all of your questions about selling diamonds online answered here! The Diamond Trade is an experienced diamond buyer who will quote you exactly what your diamond is worth, and will buy your diamond for that same amount! Contact The Diamond Trade today or visit The Process to learn more about selling diamonds online. Who do you buy diamonds from? We buy loose diamonds worldwide from diamond dealers and diamond brokers, jewelers, jewelry stores, pawn shops, pawn brokers, antique dealers, antique jewelry dealers, gemologists, diamond exporters and importers, privates jewelry sellers, estates, auctions, insurance companies, family law and divorce attorneys, estate planning and probate attorneys, wills and trust planning attorneys and their clients. Who do you sell my diamonds to? We have an international network of diamond trade members, diamond brokers, jewelers, diamond dealers, diamond buyers, investors of diamonds and jewelry, and private collectors of diamond and estate jewelry. How can you sell my diamond for more money? There are many types of diamond and jewelry buyers and different levels to the diamond business. We buy diamonds often with the understanding we will keep them in stock, often long-term. Most diamonds we buy have to be marketed into the diamonds trade, extended on credit rather than for immediate cash for diamonds and jewelry. This means we must sell diamonds for a higher value since we are paying more than our competition. Caveat: Many diamond buyers and jewelry buyers pay little for merchandise and then immediately sell your diamonds and jewelry for a quick profit. Pawn shops pay very little for quality diamonds and estate jewelry. Jewelers and Diamond Brokers may make big promises on the worth and value of diamonds, but rarely sell your diamonds for the dollar amount they claim you will receive. To sell a diamond on consignment requires trusting a jeweler or diamond broker. The Diamond Trade is unlike a jeweler, who often only wants to take your loose diamonds and jewelry on consignment with no intent of ever selling your diamond. Because of this, jeweler’s retail mark-up and diamond broker commissions on diamonds and retail jewelry is high. This means it will take a long time to sell, and possibly never will. Why should I sell diamonds online to The Diamond Trade? If a jeweler or diamond broker files for bankruptcy, you may lose your consigned jewelry to his or her creditors, and not legally receive payment at all. There is no guarantee to be paid for your consigned diamonds with a diamond broker or paid for consigned jewelry with your local jeweler in the event of loss, theft, or damage to your consigned jewelry. Many consignors of diamonds are concerned of switching diamonds for a synthetic or lesser quality diamond. Be aware that there is no insurance that covers non-payment for your consigned merchandise. Safety, security, and getting paid in person rather than a promise for a better price for your diamond is all the more reason to sell diamonds for cash in person. The Diamond Trade ensures safe, fair transactions. To sell a diamond online can be frightening, but we have the experience, the reputation, and ability to provide all of our clients with superior customer service that our competitors cannot sustain. Additionally, we are able to travel to you to guarantee you receive cash for diamonds. We provide the safest transactions when buying your loose diamonds and jewelry in person. Likewise, we pay the price we quote in cash and will also pay with paypal or an escrow service for your diamonds and jewelry — whatever is easiest for you. Many online diamond buyers and jewelry buying services want you to send your diamond before you receive payment or a final price. The Diamond Trade is no regular online diamond buyer. This is why The Diamond Trade recommends asking for a deposit guaranteeing the buyer pays the quoted amount or lose the deposit, being paid by paypal, escrow.com, or keeping it simple and getting paid in person. Should I consign my diamond with a diamond broker or local jeweler? Before you consign your diamond or jewelry with a local jeweler there are a few things to consider. Jewelers often ask for consignment because they have limited resources and cash to buy diamonds and rather work on credit supplied by you. 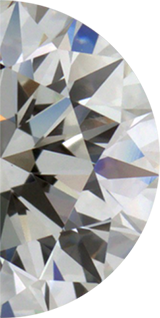 Diamond brokers will broker your diamonds and take 10% or more from the total sale price. Diamond brokers often list your diamond on a ‘internet diamond trading network’ which dealers, like the diamondtrade.com, buy from regularly. We have had many diamond brokers contact us to buy consigned diamonds they have in stock from clients. By contacting thediamondtrade.com you can cut out the middle man and sell direct without paying a third-party commission. Selling directly to us also avoids giving up physical control of the diamond before you are paid. Consigning and brokering diamonds carry potential risks of loss including theft, damage, or non-payment from the jeweler’s or broker’s buyer. Many jewelers and diamond brokers may not carry insurance to protect against theft, loss, or damage to a diamond. In the event your jeweler or diamond broker were to go bankrupt, you could lose your diamond to their creditors. Is selling diamonds on Ebay or Craigslist safe? Selling diamonds and jewelry on ebay or craigslist is an option, however the sites often just produce false promises from fraudulent individuals with and online scams or low-ball offers from jewelry buyers. Larger expensive diamonds rarely sell on online auction sites. How do we know this, we have years of experience in buying diamonds from ebay sellers and the stories they tell us are always the same. Should I have my diamond GIA certified? Once your diamond is GIA certified there will rarely be a question as to the diamond’s quality. GIA’s grading is far more accurate and respected in the diamond business compared to other gem labs. With some exceptions, we can regularly make you an offer and buy your diamond based on the GIA report alone, without first seeing the diamond. Certifying your diamond with GIA is well worth the money. GIA’s schedule of fees can be found at www.gia.edu. Should I have my diamond appraised? As explained in the GIA FAQs, jewelry appraisals often not very helpful compared to actually having your diamond certified with the GIA. Jewelry appraisers, are not diamond graders and often inaccurately grade diamonds. Appraisals rarely have the essential information a GIA report will contain. As stated on most jewelry appraisals, the description is only an ‘estimation’ or ‘opinion’ of the quality of the diamond. In addition, appraisals list grossly inflated retail values for insurance purposes, not resale. It’s best to invest your money in GIA report. How do I sell loose diamonds? When you sell diamonds online, you attract the most lucrative types of diamond buyers. Loose diamonds often have higher quoting prices because of their uniqueness and superb quality. The Diamond Trade will buy many types of diamonds, and loose diamonds are included! Contact The Diamond Trade today to begin your online diamond selling process. Where can I sell a diamond for the most money? At The Diamond Trade, when we give you a quote for buying your diamond, we will give you that amount. There are no loopholes or scams here! The Diamond Trade is a secure diamond buyer with the appropriate networks and diamond buying abilities. What’s even better about The Diamond Trade is the fact that you can sell your diamond online! Who pays the most for diamonds? How much a diamond buyer will pay for a diamond depends on many factors. Diamond buyers are not all the same nor do they buy every type of diamond. Some diamond buyers only buy ’round brilliants’ and will not purchase a ‘fancy cut diamond’ (i.e. Pear, Marquise, Princess Cut, etc.). Many local diamond buyers (i.e. jewelers and pawn shops) do not have the knowledge and expertise to grade diamonds accurately nor the resources or contacts to sell your diamond for fair value in the international diamond market. Visit our Diamond Pricing Guide to see how much your diamond is worth! Where is the best place to sell a diamond or jewelry? Meeting at your bank is often the best place to sell a diamond or the safest location to sell jewelry. Getting paid in person is often the best way to sell a diamond or valuable piece of jewelry. Please contact us to discuss how to sell diamonds in person rather than selling diamonds online to buyers who will not arrange a face to face transaction. Should I sell my diamond at an auction? Online auctions and auction houses both come with fees. Most auction houses add a ‘buyer’s premium’ above what the bidder bids. Twenty (20%) to Twenty (25%) percent buyers premium is a common percentage added. This will limit what a buyer can pay as it makes bidding too expensive yield a fair amount. Also, keep in mind, the point of buying at an auction is to get a good deal, not pay wholesale or retail. Therefore, bidders are looking to get diamonds for the least amount possible. Selling through auction houses rarely results in more money for the seller and requires you give up possession of your diamond before payment. What is the best way to sell a diamond and jewelry online? Warning! Be aware many other diamond buyers and jewelry buyers often quote you a high offer, however once you ship your diamond or jewelry and it is in the diamond buyer’s possession, the offer is lowered. Provided the diamond is in the same condition as represented, we pay the price we quote, which often the most for your large diamonds and jewelry. Most diamond buyers claim to pay the most for diamonds, pay the highest cash price for diamonds and jewelry or pay top dollar for jewelry. But the best way to sell your diamonds and jewelry is to get paid in person or upfront with paypal or have money deposit in escrow before you ship your jewelry. The alternative from the competition is a mere quote that will later decrease after the buyer receives your jewelry. Getting paid in person or by paypal and escrow assures you will receive the price you are quoted, often eliminating negotiating with a diamond buyer. Allow The Diamond Trade to provide peace of mind and a stress free transaction with the most secure forms a payment for your diamonds, colored gems and jewelry. How do I get paid the most money for my diamond? Diamond and jewelry buyers often ask you send your items to them before you receive a final amount. This will invariably lead to a lower offer once your item is in the buyer’s possession. For the majority of GIA certified diamonds, you should get an accurate quote before you ship your diamond or jewelry. We often recommend asking for a non-refundable deposit guaranteeing the buyer pays the quoted amount (or lose the deposit) before sending your diamond. How should I sell my diamond online? We recommend getting paid in person at a safe location such as your bank via direct deposit or transfer, wire transfer, bank check, or PayPal or escrow before you ship your items. For large GIA certified diamonds our cash offers are often well above other diamond buyers and beyond competitive compared to online diamond buyers or traditional diamond buyers such as jewelers, pawn shops, and diamond brokers. If you want to know “how to sell diamonds online” please see “The Process“. There are many different kinds of diamond buyers, such as your local jeweler, pawn shop, local diamond dealers and brokers, online diamond buyers, investors of diamonds, retail diamond buyers, etc. Does having a GIA report add value to my diamond? The answer is most often yes. The GIA report will confirm the quality of your diamond and allow us to extend an offer with more confidence than if the diamond is certified by another lab with less strict standards in diamond grading. It is always best to have your diamond certified with GIA. A 1/2 carat diamond can be stated as a .50 ct or 50 (fifty) pointer. A 3/4 carat diamond can be referred to as a .75 ct or 75 (seventy five) pointer. In the US, Carat (abbreviated ct.) refers to the standard unit of weight used for all gemstones. Karat (abbreviated kt.) refers to the purity of gold. 24-karat gold is 99.9% gold, 18-karat gold is 75% pure gold and 14-karat is 58.5% pure gold. Large diamonds are rarer than small diamonds. The price increases as the carat weight increases. The cost of a 2 carat diamond is much greater and can be twice the cost of the same quality 1 carat diamond. A ring made of many small diamonds totaling 1 carat will most certainly cost less than a ring with a solitaire 1 carat diamond. Do diamonds with the same carat weight have the same size? Not all diamonds with the same carat weight will be appear the same size. Carat is a unit of weight (mass) and size refers to dimensions measured in millimeters (mm). Not all 1.0 carat round brilliant diamonds appear the same size even thought they weight the same. The size of a 1.0 carat round brilliant diamond can range from approximately 6.1 mm to 6.70 mm or more in diameter, depending on the depth. A deep cut diamond is smaller in diameter and a shallow cut is wider in diameter. A shallow cut makes a diamond look bigger (described as ‘spread’) but diamonds that are either too shallow or too deep sacrifice ‘Cut’ quality and therefore the brilliance. This affects the value and marketability of your diamond and the kind of offer you can expect. Many private sellers and surprising jewelers don’t know how a diamond’s proportions (too shallow or too deep) dramatically affect the value when comparing the same size diamond to a modern ideal or excellent cut diamond of the same color and clarity. How does the carat weight affects value of my diamond? The larger the diamond, the more it costs. Sound logical, but this is not always the case. You must understand the 4c’s in combination with the size of the diamond to understand the affect on the value of your diamonds. As explained below regarding carat weight and size. The same size diamond do not always have the same value, even when they have the same quality (i.e. color and clarity). Do all gem laboratories and appraisers use the same diamond cut grading system? Most labs and appraisers will likely agree on what measurements, angles, and proportions an excellent cut diamond should have. However, with the vast amount of diamonds with varying proportions not everyone in the business follows the same set of standards for evaluating the cut on diamonds. In recent years, GIA has assigned cut grades, from Poor, Fair, Good, Very Good, to Excellent. However, have a cut grade of “Very Good” by GIA can have a broad meaning. NOT all Very Good Cut grades are the same. To a buyer (dealer or private) measurements, proportions, percentages, polish and symmetry are important and affect value. * The first diamond with “Very Good” Symmetry will be worth more than the second diamond with “Good” symmetry. This may seem like a very slight difference between the diamonds. However it the competitive world of diamonds this difference be great. What is “polish and symmetry”? Most, if not all, diamond grading reports will list a rating for the diamond’s polish and symmetry. Polish refers to the overall condition of the diamond’s surface and the luster or quality of shining by reflecting light from the surface of a diamond. Symmetry is the exactness of the shape and placement of the facets. Why is symmetry so important? Diamonds are a competitive market today, and the diamond grading report and the details are very important in the market. Diamonds with Very Good or Excellent or Ideal Cuts should have at least Very Good to Excellent symmetry. Very Good and Excellent symmetry can often produce more brilliance and sparkle in a diamond. And when the end-user is buying an expensive diamond, they want perfection and a quality diamond. Diamonds with only “Good” or “Fair” symmetry cannot command the same price with a comparable diamond with “Very Good” or “Excellent” symmetry. Should I have my diamond re-cut? The diamond business and decision to have a diamond re-cut is not for the “faint of heart”. Having a diamond recut is a considerable expense and risk. If the diamond is damaged or breaks on the cutting wheel during the recutting process, there is no insurance, and you can take a serious loss. It requires years of experience to evaluate whether a diamond can be recut and improved. The measurements and numerous angles must be understood while calculating if the recutting the diamond improve and be financially worth it. Diamond lose weight, which is important in terms of value. But the goal to recutting a diamond is often to improve the “make” to create a more beautiful diamond. As discussed above, the “magic numbers” are an important part in making the decision to recut a diamond. You have a 5.10ct diamond with only a “Good” Cut grade. It may be possible to recut the diamond and improve the cut to a “Very Good” grade but there is a chance it go dip below the magic 5.0ct weight. Do you recut it? If the diamond recuts to 4.99ct is has now dropped to a lower price bracket reducing the per carat price significantly. Depending on what the dealer paid, will also be a factor. Which laboratory has the best diamond grading system? This question has become controversial topic in the diamond business. Other gem labs such as AGS have a well respected cut complex diamond cut grading system. AGS used the term “Ideal” where as GIA does not. This can also create confusion in the industry for sellers. EGL may give a diamond “Excellent” Polish and Symmetry where GIA may only grade as “Good” on the same diamond. The different grading standard can cause confusion and frustration to private diamond sellers who don’t understand all the nuances of the cut grading systems and the different levels of scrutiny each labs grades a diamond. What is the per carat diamond price for my diamond? To calculate the retail price per carat you can compare the cost of similar diamonds. Divide the selling price by the exact carat weight to determine the price per carat. For example, a 1.53 carat diamond that sells for $12,240.00 dollars has a per carat price of $8,000 ($8,560/1.53 = $12,240.00). Understanding the wholesale and cash per carat prices requires knowledge of the global diamond market, and factors such as supply and demand and liquidity of the diamond market. Please contact TheDiamondTrade to discuss the per carat value of your diamond. What are Diamond Price Brackets? What are the Diamonds’ Magic Numbers? When a diamond is on the bottom of a particular price bracket (e.g. 3.00 ct), one point (.01 ct) below will take it to a lower price bracket and lower per carat price. So a two diamonds equal in cut, clarity, color that have one-point (0.01ct) difference in weight can make huge price change. A 3.00 ct Round Brilliant Diamonds, F in Color and VVS2 in Clarity with Excellent Proportions could be valued up to 20% to 50% more than a 2.99 ct Round Brilliant Diamonds, F in Color and VVS2. On paper and in-person they may appear the same but the one-point difference can make a great deal of difference in the per carat price and total price. How does the diamond’s color change the value of my diamond? The whiter the diamond the more the per carat value will increase. The difference in the per carat value between a 1 ct D color and 1ct J color can range from anywhere from two to five times the price difference. Diamonds with a yellow tone are much more common than white diamonds which increases their rarity and value. Are there diamond price sheets for fancy colored diamonds? It is rare to find actual prices table or per carat price bracket worksheet for fancy colored diamonds. Beyond the Z grade, you have fancy color grades, such as fancy light yellow. Other colors such as fancy light blue, fancy red, fancy intense blue, fancy vivid pink, fancy dark blue and fancy deep pink don’t often have per carat price sheets. Fancy red diamonds are extremely rare and prices are often established based on comparisons on the few stone available in the market. How does the diamond’s clarity change the value of my diamond? Just like a cloud not two diamonds are alike. The lower the clarity and types of inclusions are important in determining value. Based on a GIA report, it is simpler to calculate a price for your diamond with VVS2 to a Flawless clarity grades since there are few to no inclusions to evaluate. Diamonds with lower clarities such as SI1 down to I1 often requires viewing a diamond in person. The placement of inclusions can affects values considerably. For example, you can have an diamond with an SI2 clarity which is based on a large crystal in the center of the diamond that could be visible to the unaided eye. Most SI2’s graded by GIA are often eye-clean. Therefore two diamonds of the same size and grade can have different values based on the location and visibility of the inclusion and the impact the inclusion has on the diamond’s beauty and brilliance. Another example, some SI1 or SI2 diamonds clarity grades are “based on clouds”. If this is the case, your diamond may appear “milky” or “cloudy”. The clouds would negatively affect the value of your diamond and the offer you would receive. Does fluorescence in diamonds affect the value? Fluorescence in diamonds is the visible light some diamonds emit when they are exposed to invisible ultraviolet (UV) rays. On a diamond grading report, fluorescence refers to the strength, or intensity, of the diamond’s reaction to long-wave UV, which is an essential component of daylight. The light emitted lasts as long as the diamond is exposed to the ultraviolet source. Fluorescence in diamonds is common. Some sources say only 10% of diamonds show strengths of fluorescence that may impact appearance (i.e., strengths noted on laboratory reports as medium, strong, or very strong). “Blue Fluorescence” is the most common color in diamonds that exhibit fluorescence. in rare instances, the reaction is yellow, white, or another color. In the diamond market, diamonds with the same color grade (i.e. H and whiter) with fluorescence often sell for far less than diamonds that do not display fluorescence. Diamonds with H color and above are sold at discounts when they display fluorescence. Diamonds with lower color, J and lower are often thought to benefit from some level of fluorescence as they can make the diamond appear whiter despite the true color and yellow color that may appear in J color and lower colored diamonds. How do you calculate an offer for my diamond? Diamond dealers and buyers calculate prices and offers by understanding the diamond market’s per carat values for a particular diamond which changes based on global diamond supply and demand. However, as explained above, each of the 4Cs is very important to each individual diamond’s value.